At Techugo, we devote an available team 24 hours of the day. We offer weekly, bi-weekly, and monthly updates. We provide a control panel CRM that allows you to track progress. As a result of our innovations, we have made innumerable fantastic relationships with clients. The ratings and review firm, Clutch, is always on the lookout for companies doing something different, better. Based in Washington, D.C., the ratings and review firm compiles client testimony, case studies, and in-depth quantitative data to illuminate a cogent image of various companies. 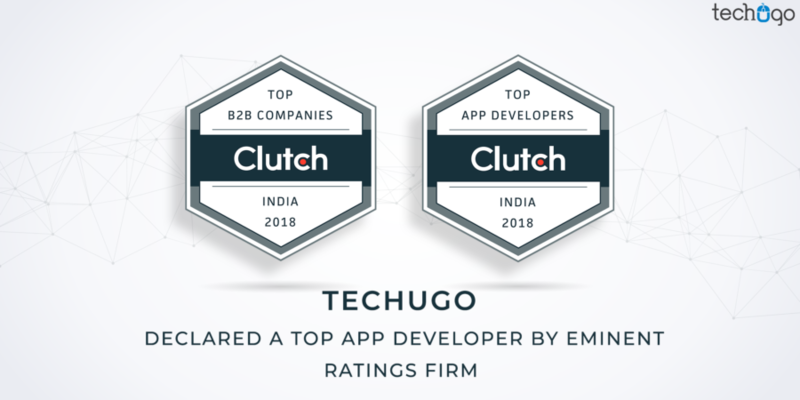 Our clients provided candid and congratulatory commentary that partially led to Clutch ranking Techugo as a top app developer in India! Clutch’s sister site, The Manifest, also recognized Techugo as a top mobile app development company! The Manifest is a well-respected firm that offers lists of high-performing companies across the world. It is an honor to receive their praise. A truly global firm, Techugo has offices in the USA, Dubai, and India, and has completed hundreds of projects that span over 15 countries. The Techugo client base ranges from tiny startups to major Fortune 500 companies. This is all just to say, any project, any size, anywhere–Techugo is ready and experienced. Now, with additional client reviews from Clutch, Techugo will only be able to further understand its client base.